Are you an Android user and fond of Google Play Store? Then I have got something for you today which will help you to get most out of your Google Play Store. You guys are going to get some creative Google Play Store tricks today. The Google Play store carries a vast world of awesome apps which is being surfed by millions of users. However, there must be users who are not aware with the tricks of it which could help them to enhance their experience with Google Play Store. 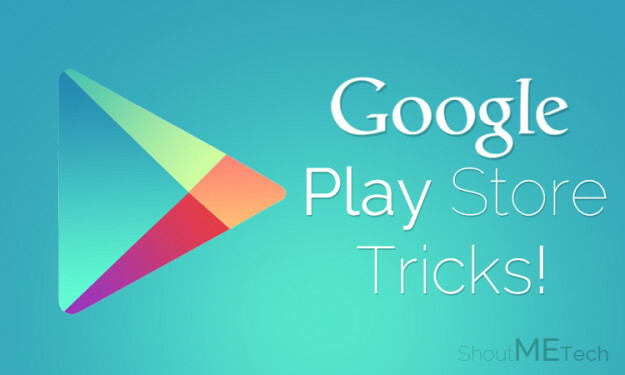 Therefore, today I am listing the top 10 Google Play Store tricks that you may apply from your side and can be amazed by the awesome results that you’ll get after applying them. So, Android users enhance your experience of Google Play Store here. The tricks that you need to apply are here. You may keep on using these tricks on every new day to learn something new about play store for coming ten days. Now get to the tips to explore more about it. The list of tricks begins here. The users always want to make purchases of apps on their phone only by their selves as it is the matter of money so how can anyone allow other to purchase different apps from Google Play Store on their phone and that too using your saved card/account details. So, to restrict such attempts you can apply this trick of mine which I have listed here. If you want to restrict others from purchasing an app using your phone then setting a password for it could be a smarter move. First of all, Open Play Store on your Android Phone. Then go to Settings and tap on Password. Now enter the password that you want to set for app purchases and then tap on OK. Ones you have done this then if any other user will try to make purchase app from your phone then he/she will be asked to enter the password before making any purchase. 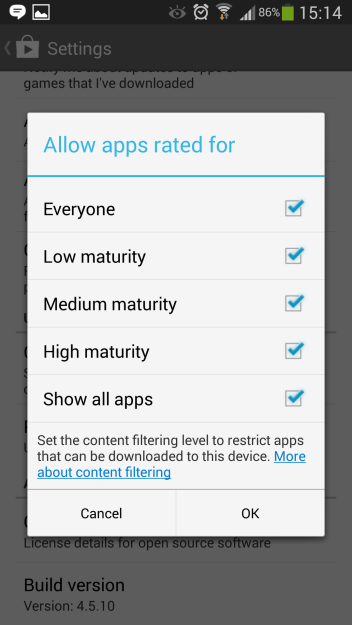 You may come across in the need of this trick that related to filtering that will help you to filter app content. There must be content that may be disturbing for some users in terms of maturity. So, it must be filtered to make play store helpful rather than disturbing. So, for such reasons you may apply this trick. Simply follow these steps to filter app content. Go to Google Play Store and then tap on Settings. Now, you need to tap on Content Filtering. Afterward, you will have certain maturity levels, you may check mark according to your preferences and then tap on OK.
Another most awesome trick that might be hidden from many users is creating your wishlist in which you may list all your favorite apps. You can easily add all your downloaded or not purchased app in that wishlist that will help you to remind all your favorite apps later on. First of all, launch any app that you want to add in your Wishlist. Then you need to tap on + Banner/tap on Add to Wishlist from the top and then it will add your favorite app in Wishlist. This trick is related to the above one as many of you must not be aware with the process of opening Wishlist after adding your favorite app in it. It will help you to see all your favorite apps that you have added in it. Just follow the below steps to open the Wishlist. First of all, Open Google Play store on your Android device. Then swipe the screen to the right and then tap on Wishlist. Afterward, it will show all the apps that you’ve added in Wishlist. When we downloaded any app on our Android phone, then it creates a home-screen widget for that newly downloaded app by default, and many users don’t like it at all. So, there are many who want to get rid off this and want to stop adding it. So, you may apply this trick to stop adding Auto-add widget for your apps. Then you need to tap on Settings and after that uncheck Auto-Add Widgets option. Now it will stop adding Auto-Add Widgets for your new app. You can’t exactly remember that how much you have spent on app purchasing, and you don’t need to too. Since, Google Play Store let you check all your app orders that you’ve purchased. So, if you want to check the complete app orders of yours then apply this trick. Firstly, Open Google Play Store and then go to Settings. Now, you need to tap on My Orders. After that, you will have the complete list of app orders that you’ve purchased. One single user may use different Android phones using the same email address for every phone, and Google Play store can help you to check all the devices that are linked with the same e-mail address. I am sure you all want to know about it too. After that, move towards the My Devices. Now you will have the list of all linked devices. This is another trick that I have got for you. You can use your computer to install the app on your Android phone, and that can be done in minutes. You will be using your mail address on your computer, and that app will be synced in your device; however, the medium will be your computer. Note: Do Sign in on your computer using the mail address which you are using on your Android device. First of all, Open Google Play Store on your Computer and search for any app that you want to install. Then Select the Device on which you want to install that app. After that, tap on Install and then it will install that app on your Android phone. This may happen sometimes when we purchase any app and could not get the satisfactory results from it, and many of the users think that money is gone or wasted. 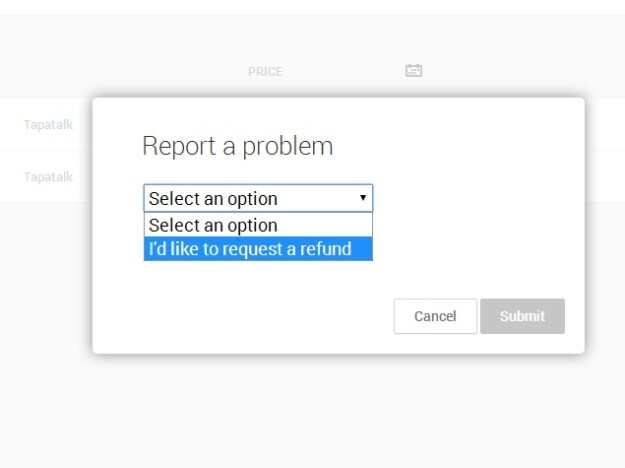 It is not like that, you can ask for the refund from the developer of the app and get your money back. That is possible by applying these simple steps. First of all, Open Google Play Store and go to Settings. After that, tap on My Orders and then select app for which you want to ask for refund. Then Click on the favicon of that app and then tap on Report a Problem. Afterwards, tap on I’d like to request a refund. Furthermore, it will take some days to get your money back. Updating each app is simply a hectic task and I personally avoid updating each and every app one by one. 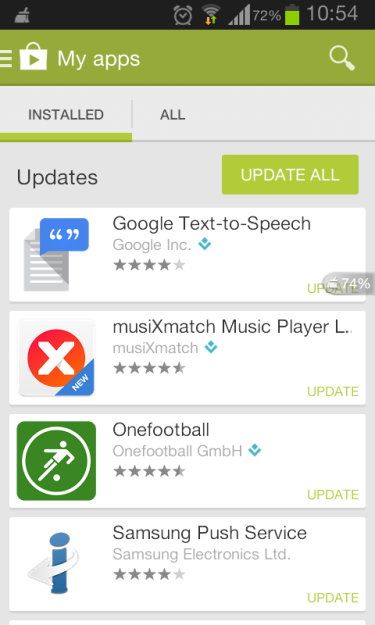 So, to over come this issue Google Play store will help you to update all your app at ones. Since, this trick must not be obvious to many. If you want to update all your Apps ones then follow these steps. Open Google Play Store on your Android Phone and then swipe to right. Then tap on My Apps and tap on Update All. Now it will update your all apps ones. Conclusion – Played with Play Store! So, this was the tricks which I have gathered for you guys. I am sure that these tricks would have been proven helpful for you. If you have any other awesome yet creative trick which could be helpful for many others then do lend it in the comment box. Your suggestions would be welcomed here. Furthermore, if you have any question to ask then do lend it in the comment box too. I shall get back to your questions shortly. If you have found these tricks helpful and worth reading then do share it with other android users. Keep Sharing and Keep Helping! 1.1 Conclusion – Played with Play Store! Mansoor, Stop Updating Android App Update is also the One Trick for Mobile data Users.